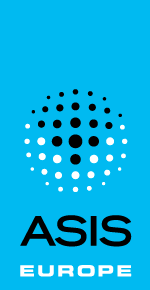 ASIS International is a global community of security practitioners, each of whom has a role in the protection of assets – people, property, and/or information. Our 35,000 members represent virtually every industry in the public and private sectors, and organisations of all sizes. From entry-level managers to CSOs to CEOs, from security veterans to consultants and those transitioning from law enforcement or the military, the ASIS community is global and diverse. No other organisation possesses the vast array of knowledge, expertise, and experience. For more information, visit www.asisonline.org. Listed below are the ASIS regions within Europe, Regional Vice Presidents (RVPs) and Assistant Regional Vice Presidents (ARVPs), plus all ASIS European chapters and their websites. Erik de Vries, CPP, Senior Regional Vice President, is the volunteer leader overseeing the European regional structure. For a full list of all ASIS chapters globally, visit www.asisonline.org/chapters. All Regional Vice Presidents are also members of the council.